General objective of this report is to analysis Overall Activities Adopted by Lovely Group. 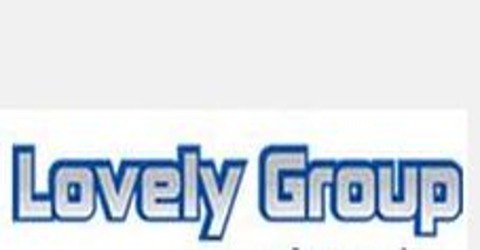 Lovely Group is one of the largest private sector manufacturing conglomerate in Bangladesh. Lovely has always given the very best value of its component leading to the production, management, revenue the spot that the human resources was regarded as the prime factor. Lovely Group division endlessly strives to offer the best output, by developing and improving and suitable utilizing its human funds. To know about the overall organization details of lovely group, we arrange all the necessary information in a befitting manner. To get an idea about different aspects of the company. All the data used in analysis have been collected from published source belonging to Lovely group. Relevant books, annual report and any related an article that comes from a published source. Since 1990 to till date the Apparel sector of Bangladesh has passed through different huddles & obstacles and now has reached a stage where it can compete with all its competitors in price and quality as well as variety. In this scenario; Lovely group is a vertically set up textiles unit which starts from knitting and ships the end product garments. In a short span of time Lovely group has gone from strength to strength to become one of the significant entities into sphere of activity. The factory is well equipped with high performance machinery and experienced technicians are engaged here to ensure the quality and customer satisfaction. We can produce international standard fabric and garments of any quality and quantity. Lovely group always keeps pace with latest technology of Textiles industry. Lovely group success is due to two key factors: Innovation and Commitment. The most surprising fact about Lovely group is world-class production facilities and the cutting age technology widespread across. The output of any process is only as good as what you put into it. With the best people, empowered with the best tolls of the trade, discharge the responsibility to achieve what others think impossible. Among the companies of Lovely, Lovely group and earn largest single enterprise designed & developed to promote textiles. Each of the company’s activities must benefit and add value to the common wealth of the society. The company firmly believes that in the final analysis it should be accountable to each of the constituents with whom it interacts, namely: the company’s employees, its business associates. The company has established itself as a fabric manufacturer off repute with a customer profile that includes some of the best names in business. The company sees itself not merely as a supplier of fabric but as an integral business partner in the value chain of eminent buyers and retailers among the country. This company would continue to innovate with new and better varieties of fabrics, bill supply chain effectiveness for enhanced customer satisfaction, ceaselessly pursue manufacturing efficiency and rationalization of costs and nature as well as develop talent of its people. To make a strong position in the textile export market. To contribute in the economy of Bangladesh through earning foreign exchange. To produce world-class textiles and clothing. To change the perception of fabric and apparel Manufacturing in Bangladesh. To add up superior quality to the produced textile goods. In 1980s the growth of export – oriented garments industry in Bangladesh has exceeded all expectations. In fact the RMG industry is the manufacturing success story of Bangladesh. With exports of about US Dollar billion the industry imported all its fabrics need valued at around US Dollar 600 Million annually. At early 1990s, even conservative estimates project future growth rate at around 30% per annum. It was estimated that in 1993-94 the total fabric requirement in Bangladesh by both domestic consumers and RMG industries is about 2.4 billion meters. However the domestic production was only about 980 million meters leaving a substantial gap of 1.4 billion meters. The requirement of the RMG sector was estimated at close to one billion I meters per annum. The rapid growth in the export – oriented RMG sector has resulted in a massive increase in fabric demand. In fiscal year 1984 the fabric demand was 55 million meters, which has increased to more that 900 million meters in the fiscal year. 1995 indicating a compound annual growth of nearly 32%. With the RMG exports sector having crossed US dollar 1.0 million per year based almost entirely on imported fabrics economies of scale then justify the setting up and expansion of modern state of the art weaving dyeing and finishing facilities in Bangladesh. This is a prerequisite for Bangladesh exports for playing a greater role in the up-market and fashion end of the cotton synthetic wool and other fabric based apparel industry. The Government has therefore decided to encourage the private sector to play a significant role in the expansion of the capacity of the textile sector. The Special Bonded Warehouse was the strongest Support received by this sector. It was followed by Exemption of [corporate taxation on export profits and duty concessions. In response to the policy announcement of the Government the Lovely Group had decided to set up a finishing mill with planned production of 35 million yards finished fabric per year and a weaving mill with 193 air-jet-looms. Considering the above Lovely group set up Lovely textile a hundred percent export- oriented company. The company was incorporated on March 8 1994. It has weaving dyeing and finishing facilities for producing high quality shirting and other and finishing facilities for producing high quality shirting and other fabrics. This unit is located at Chandra circle, Sonargaon, Narayangonj Bangladesh about 25 Kilometers south of Dhaka on 18.35 acres of land. Lovely incorporates the following companies. Lovely Textile Mills Ltd., was the first Yarn producing company in the division and started off in 1989 with 27000 spindles setting unparalleled standards in yarn quality and growing to 70000 spindles in the span of just five years. With 119520 spindles, Lovely Textile mills ltd., yarn-spinning capacity is the largest in Bangladesh. GTL located in the Lovely industrial park at Chandra circle, Sonargaon, Narayangonj, Bangladesh Textiles Division’s flagship company, established through a technology partnership with Total Project Company, a wholly owned subsidiary of Coats Vilely Pick, it is one of the most modern and technological advanced mills in all of South Asia. This mill used only state – of the – art, brand new equipment from the world’s leading suppliers to produce its fabrics, and has coupled that with he highest caliber of technological support-expatriate staff to operate the machines alongside local staff trained at suppliers plants. The unit is equipped to produce medium and fine quality shirting, including yarn dyed and dobby’s, light twills and drills in cotton and blends. Current capacity is 80,000 meters a day of weaving and in excess of 100,000 meters per day of processing. Lovely knitting Ltd. Produces fine quality cotton and blended knit fabrics in a variety of styles, jerseys, rids, piques and other single knit textures are all available, current production in tubular and open width exceeds 14 tons per day. Lovely Synthetics Ltd. spins high quality polyester filament yarn |that is converted by its customers into innumerable type of fine fabrics. Lovely Apparels Ltd. is another 100% export oriented garments factory of Lovely Textiles Division. Lovely Apparels specializes in women’s tops and men’s shirts. State-of- the art air jets looms, which can weave a variety of high-grade 100% cotton and Ploy/Cotton blend fabrics are installed. The product range from shirting to lightweight drills & twills in either plain bobby or yarn dyed weaves. Modern Flexible high technology machinery for the continuous preparation dyeing and finishing of the above range of fabrics are installed. The range of product will be able to meet the standard of the high quality fashion market as well as supply the volume needs of standard quality fabrics of the RMG sector in Bangladesh. The production capacity initially was 40,000 meters per day (144 looms) for weaving and 100,000 meters per for dyeing and finishing. In 1997 the company installed other 148 looms and now the weaving capacity of the company is 80,000 meters per days per the capacity is based on three shifts a day of 8 hours each and 350 working days per year. Total covered area is 24795 square meters. The main factory building which houses the weaving dyeing and finishing and other utilities machinery have a covered floor space of 17,830 square meters, 1,512 square meters for workshop 85 general store, 648 square meters for boiler and generator house, 504 square meter fore office, and 4311 square meters housing and gate house. Provide basic design and supervise construction of factory and ancillary buildings. Raw materials: The basic raw materials that LG uses for the production of gray fabrics are cotton and TC yarn. The other major raw materials for productions of finished fabrics are dyes and chemicals required for the dyeing and finishing processes respectively. To ensure quality dyeing dyes and chemicals are imported form well known manufactures, like ICI, CIBA-GEIGY, Santos, BASF ETC. who have physical presence in Bangladesh and may be relied upon to extend their services as and when required. Power: The project has total captive power generation facilities. Water: Water is available from the factor’s own tub well facilities. Steam: In order to meet the steam requirement of the project three steam boilers with a total capacity of 30 tons are running. departments. The department looks after total factory operations. It has a number of sections, namely production process, and delivery section. Each section has definite responsibility. The production department is headed by Director Operation and has wide range responsibilities. This department looks after total factory operations. It has a number of section, namely Production planning, Administration, Stores and Go down, power and fuel, Maintenance, Different in the production process, and Delivery section. Each section has definite responsibility. Administration in the factory side has a number of responsibilities. The factory is running for 24 hours a day and 350 days a year. The administration maintains all the auxiliary tasks necessary to enhance the production. All sorts of control required in the factory site are done by administration section under production department dormitory for workers, Engineers and other employees; Residence for the top level employees, Dining for workers and executives, Transportation for factory employ’s, vehicles for raw material supply and product delivery etc. are maintained by the Administration Department. They also look after securities of the factory premises. As a manufacturing company that have a lot of materials in stock. This section is responsible for receiving materials from the is suppliers, stock those properly, and passes those to the different % sections of the production process for use. They also maintain the level of stock. They prepare reports of stock and send it to the planning section to inform them how much material planning has to order. The jobs for delivery section are to store the finished goods and deliver those against order and time schedule. They are responsible to confirm the reception of L/Cs, amount t deliver. The main duty for the marketing department is to collect buyer. A number of executives’ are involved in this connection. They search for buyers who are looking for RMGs from Bangladeshi garments coming from different part of the world. As the buyers are highly concern in fabrics for their required goods, and they visit the factory. Buyers test the sample and marketing department deals this sample-testing price and time of shipment negotiating is another task of marketing department personnel. An executive is responsible for the selling contract from negotiation to delivery of that lot or batch. As the company’s product is very sensitive that without prior specification no buyer will take any fabric until and unless the construction matches exactly with their requirement. So getting the contract of order form marketing department they prepare an order Execution schedule specifying the amount and construction of the fabrics for production department Considering lead time they send the schedule at least two months prior to the production. And finally they send a production order to the production department confirming the contract. The department also prepares the financial plan to meet the financial need to produce the planned amount of fabrics and send it to the Finance & Accounts department to provide the amount. Another thing the department is responsible to do is pricing. They prepare a plan for what will be the price of a particular product by getting the production cost estimation from Accounts department. The principle function of the procurement department is to source the materials both local and foreign as required and requested by the user department. Normally the user department identifies and forwards to the procurement department the amount and specifications of the raw materials required by them. In the case of’ imported materials the responsibilities of the procurement department include the establishment of Letter of Credit in favor of foreign vendors. The department shipment status of all imported materials LC – wise. Shipment along with information and documents to the bank. LG belongs a strong finance & strong finance Accounts department with a number of certified professionals. This department is headed by General Manager and for consultancy, if’ necessary, the experts from the corporate finance advice the department. The department comprises two sections- Finance and Accounts. Finance is mainly responsible for sources and uses of1 funds, and inventory management. In this connection they have to prepare a number of reports necessary to express the inventory position and have to go to the factory at least once in a month to inspect the physical position of the inventory and to investigate whether there is an anomaly in records and physical existence. Another task of the department is to deal with the long-term loan in paying the installment and interest. The final result of all the works in the accounts department are the financial statements Balance sheet, Profit and loss account, Cash Flow statement etc. to produce such reports they are ding a lot of works. The department is required to do the same for monthly then quarterly and finally for the year. All the payments are through the Accounts department. It may be for raw material purchase or salary of the employees or any other expenses. Similarly all the inflows are through the accounts. They have partial responsibility in inventory planning and controlling. Another major responsibility of the department is to prepare the list of the cost of production for different types of product of the company. MIS department can help the top management by giving accurate, reliable and relevant information for decision-making. MIS department is always ready to perform their duties. They can rapidly provide information as and when required by the top management because they are dedicated to do this job. For this reason, for conventional management control system & to achieve competitive edge over other enterprises, it is required to establish a separate MIS department for improved performance of whole organization. Short term sales planning- Capacity checking, Margin M analysis, Cost volume profit analysis etc. Productivity- Machine speeds, Rejection, Wastage, capital /assets and employment. Profitability-Standard Setting for rejection/ wastage/expenses/ materials consumption etc. Continuous powers supply either from outside supply or by the generator. Transportation for employees to use for the company Purposes and high officials for their personal use. Also for the buyers for their visiting factory. Recruitment is a word but a long process. Getting job specification for the repaired person from different departments HRD goes for recruitment. They think about the qualification required for that position with the mentioned job specification and then goes for advertisement in the daily newspapers. If they have enough unsolicited applications for suitable post they used to call then for recruitment. For mass recruitment they have several screening processes including application sorting, 2written test, interviews etc. they evaluate the newly recruited employee for a period of sic month and if the result is positive then take him/her as permanent. The departments adopted the yearly appraisal system for the entire employee. They have a definite format, which the employees have to fill up. In the form there is a column for the reporting boss to fill it up. The promotion and increment is appraisal based i.e. dependents on performance. The Lovely Group as a whole has name and fame for their extensive R&D in different sectors. In LG, they have also established a department for this purpose. To meet the companies’ objective the research &development is working for the betterment of the marketing of the company’s product. The responsibility delegated to the of the marketing of the company’s product. The responsibility delegated to the department is to find out any lack in the organization that can be developed. The department is also observing the market of their product and search opportunities to capitalize them. All sorts of trouble shooting for all the computers in the organization both for hardware & software. Looks after the after the area Network both for factory and head office. To experiment and implement new software for any of the departments etc. The total project cost is estimated at TK. 2,026 million of which TK. 1, 546 million have already been raised.CDC; DEG and AFIC have already paid TK.909 million in the form of both debt and equity. Another TK.36 million and TK.24 million have been committed to be subscribed by CDC and DEG respectively in the form of equity. Bangladesh Shilpa Bank has provided TK.197 million as Debt. Balance amount is being raised through Public issue of Shares of TK.180 million and Debentures of TK.240 million. The Lovely Group a public company was with an initial Share Capital of Tk. 880 million and debt of Tk.847 million. The shareholders include the Lovely group, foreign investors, s financial institutions and General public. The long-term loans are (form both foreign investors and local banks. The company also offered debentures at the rate of 14% for an amount of Tk. 240 million with the value of debenture of Tk.2500 each. Lovely Group is the largest private sector industrial conglomerate in Bangladesh. Lovely has always given the highest value of its component contributing to the production, management, revenue where the human resources was considered as the prime factor. Lovely Group division endlessly strives to achieve the best output, by developing and improving and proper utilizing its human capital. As a result it becomes one of the leading companies not only in Bangladesh but also in subcontinent. Though Lovely Group is one of the top leading textiles companies in Bangladesh. It has ample opportunities to upgrade itself by using all its resources, maintaining qualities and giving continues effort.